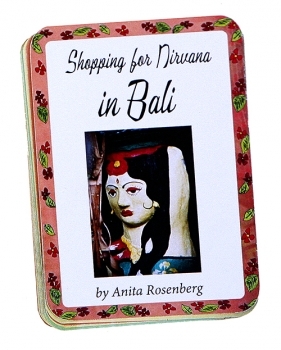 Inside this deck find 52 SHOPPING FOR NIRVANA IN BALI spirited adventures. Nirvana is about the objects you collect, the people you meet and the experiences you have. My first visit to Bali was in 2001. Bidding a tearful goodbye to Hong Kong and vowing to return soon to the city that felt like coming home, I decided to travel to Bali to check out competitive manufacturing in Indonesia. Secretly the trip was a ruse to get closer to the man who had just broken my heart, Oliver (a German with a factory in Jakarta) and an opportunity to see what my life might have been like had things worked out. I imagined living an exotic life in Bali with him, now I was determined to be that same person only on my own. 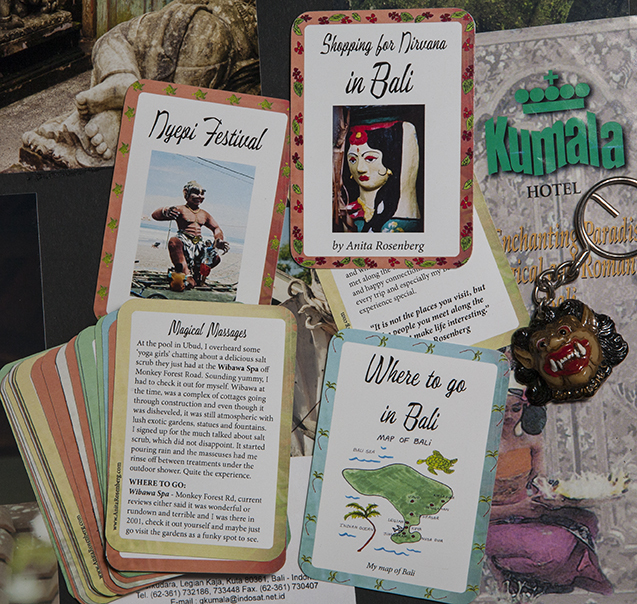 A business associate introduced me to Robert, a Canadian ex-rocker turned furniture agent who spoke fluent Baliinese and offered me a room in his tropical compound on the edge of a rice field. 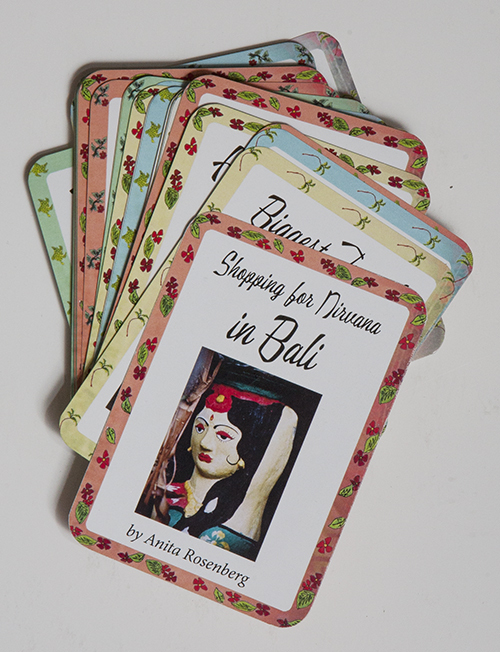 These cards reflect my life-changing journey and I encourage you to create yours.